Henrikh Mkhitaryan is set to return to full training for Arsenal next week after spending a month on the sidelines (via Arsenal.com). Arsenal haven’t had the best of weeks and things could get even worse when top-four rivals Chelsea arrive at the Emirates on Saturday. The Gunners are six points behind their rivals in fourth place with Manchester United now level with Unai Emery’s men. “It’s a difficult, tough match and I think it’s a good test for us also,” Emery said in his pre-match press conference. “We wanted to go into this match with three points difference in the table, but our defeat at West Ham doesn’t give us this possibility. 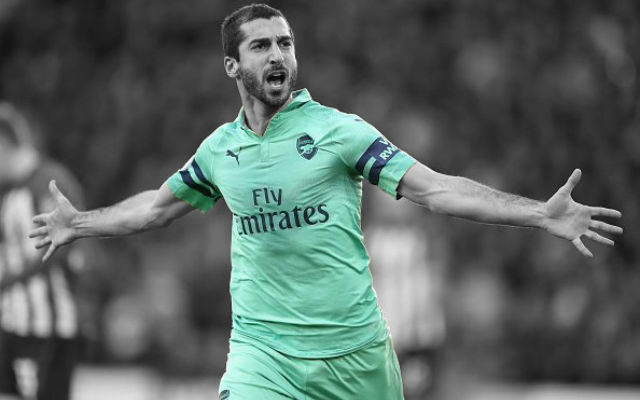 The club has confirmed that Henrikh Mkhitaryan will again miss the match with injury but that the Armenian is expected to return to full training next week. It promises to be a big test for Emery and the Gunners but hopefully, we can close that gap on the top four.